After years of using small underpowered phones I was shopping for a sturdy phone with a decent battery life. There are several smartphones on the market that can take a serious beating. 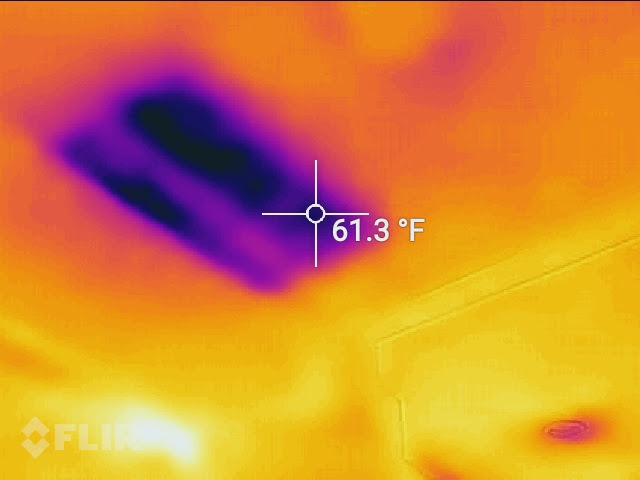 But Cat S60 is the only phone that has a built-in FLIR thermal imaging camera. Why I’d need an infrared camera in a phone? Well, my wife asked the same question, but I’ll get into that a bit later. Let’s first look at the basics. The first question people ask is “Is that phone really made by Caterpillar?” The answer is no. It’s made by a company called Bullit and marketed under the Cat brand. However, it’s built tough like a Caterpillar construction machine. I’m no smartphone expert. My last phone was a sub-miniature Posh S240 which has an awesome form factor, but suffers from real low end performance. It’s easy to see a huge difference in speed when upgrading from a Posh to a “normal” size phone. Without running any benchmark test, my subjective impression is that Cat S60 is pretty decent and a bit snappier than iPhone 5s. The battery life is very good. I can go for about two days on a full charge, not much talking, some texting, some Facebook and Internet radio use and about 80 minutes of daily Waze or Google Maps. If I skip using Waze the phone consumes less than 30% of the battery in twelve hours. The voice quality is clear. The speaker is fairly loud, but I’d like it to be even louder for a phone intended to be used in tough environments. I run the screen brightness at 50% for normal use and go 100% for bright outdoors use. 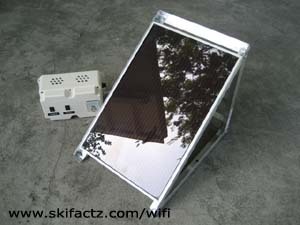 The display is readable even in strong direct sunlight in the snow. It automatically attenuates the backlight level based on the level of environment illumination which is a great feature if you’re constantly going indoors and outdoors at work. Cat S60 comes with Android 6.0.1 without a ton of bloatware. There are a couple of Cat related apps I opened once and never tried again. However, the custom speaker drying app may come in handy when the phone gets wet. Speaking of drying, the phone is waterproof down to 5m depth and can even take underwater pictures. I routinely rinse it out under a running faucet and listen to the music in the shower on occasion. The touchscreen operation is not compromised when wet. I was most skeptical by the claim that the screen is responsive to gloved hand operation. I’m happy to find out that in fact I can use ski gloves with Cat S60. It’s not quite as easy to do as when using bare fingers, but it works well enough to be able to answer a call and read emails. The touchscreen seems to respond to gloves better when wet. I had no problem using the phone in a wet snowstorm the other day, but it was less responsive the next day when the storm was over. The build quality is extremely solid although the phone is heavy. Because of the weight it slipped out of my pocket and hit the concrete floor by the corner of the steel frame when it was brand new. It bounced off and hit another corner. There was not a scratch on the screen and just a couple of nicks on the bumper which I ground down and polished with high grit sandpaper. The plastic backside does not feel as strong though. The dual SIM and memory card slots are located inside an easily accessible compartment on the back. I hope the compartment door is well sealed to keep water out when submerged. The phone is equipped with an FM radio, a fairly standard feature in Android phones. It has a covered SOS button and a user programmable button. Pressing the inset SOS button triggers a third party app to dispatch prebuilt SMS messages with GPS coordinates to a list of recipients. Of course, the phone has to be within coverage area for this feature to work. I think the button is not exclusively bound to the SMS emergency app. The orange programmable button can be assigned to any app (I think). I am using it as a PTT button for Zello. This app is sort of like good-old Nextel Direct Connect, but it has its share of issues. The cool thing is that I can just hold the button for a couple of seconds until Zello is launched and then start talking to the Zello user I last spoke to. The regular camera quality is so-so. I tested it with the stock camera, as well as Open Camera and Better Camera apps. In all three the auto-focus seems to struggle identifying the focus target. This is particularly evident in video clips where the auto-focus inexplicably racks back and forth while recording video. This issue is hard to justify on a 600 USD phone. I had a correspondence with the Cat support regarding this problem. They suggested upgrading the firmware. Although my unit does not have the latest build, it refused to download and flash the latest firmware. The support then suggested I do a full factory reset. I didn’t want to blow off all my customizations only to find out the camera problem is a hardware issue. I’d rather have them exchange the phone, which to Cat support discredit, they did not offer. Make sure to test the phone hands on when buying if the camera feature is important to you. 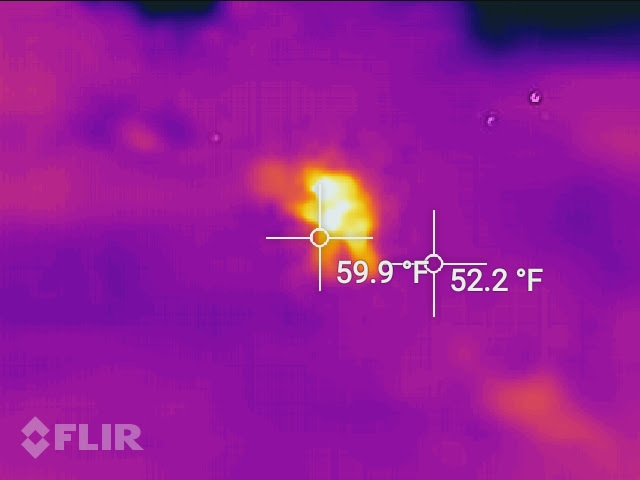 This brings me to the other camera in the phone—the FLIR thermal camera. FLIR cameras used to run for tens of thousands of dollars, and the high end models still do. What does a thermal camera do? It allows you to see infrared light which is the part of the spectrum invisible to our eyes. Each time you take a picture with the FLIR app the camera takes a thermal image and a visible light image. The two cameras are mounted side by side with maybe 16mm of interocular distance. The small amount of parallax between the visible and the IR camera allows the app to draw a basic contour using the visible image and fill it in with the pseudo color from the thermal camera. After the image is taken, you can wipe the visible light photo on and off to correlate the heat distribution to the objects in the scene. Remember, this is not an X-ray vision. But the heat dissipation of the pictured objects can uncover the shape of things that are impenetrable by visible light. For example, you can see the shape of a person’s body through baggy, lose fitting clothes. I’m pretty certain, you could to also see hidden objects strapped to the body. 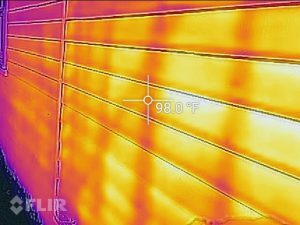 You can’t see through the walls, but you can see how an external house wall is radiating heat which in turn can uncover the structural framework. In figure 1 above you can see the framing underneath the siding of a house. The frame is showing darker in the image because it’s blocking heat from escaping the house. 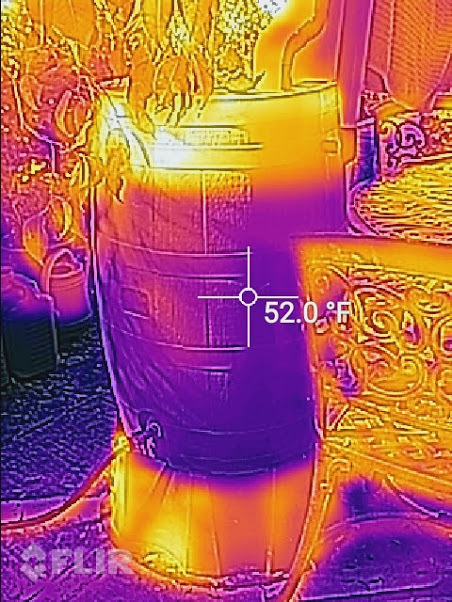 The water level inside a rain collection barrel in figure 2 is visible because there is a difference in temperature between the water and the warmer air inside the barrel. Note that this picture was taken in the morning. The effect would be exactly opposite in the evening—the water in the barrel would remain warmer longer than the cold evening air. 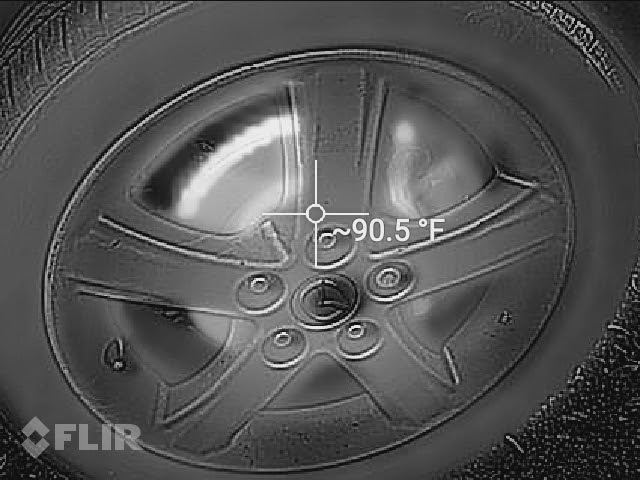 The FLIR camera app represents the temperature values using user selectable color schemes, out of which the “lava” and pure black-and-white as seen in the shot of a car wheel with hot breaks in figure 3 appear to be the most usable. The camera dynamically scales the representation value range based on the maximum and the minimum temperature in the scene. This means that the coolest temperature always shows as black and the highest temperature always shows as white. This is handy because it expands the dynamic range of the FLIR camera and allows for better precision. The actual temperature reading is represented in Fahrenheit or Celsius units next to the center screen crosshairs. Strangely, Kelvin readout is not available. User can set additional crosshairs and averaged area temperature readouts. The camera also shoots video clips although I haven’t played much with this feature. FLIR Tools is a free companion app available from Play Store. It allows for additional temperature measurements and it can prepare information rich PDF reports with IR and visible light photos side by side. Back to my wife’s question, why would I need an infrared camera? There are literally hundreds of applications for thermal photography. Building construction and real estate appraisal are fields where infrared photography is invaluable. The figure 4 shows the ceiling in my kitchen. The previous owners mush have had a roof leak. It was repaired well and the seams are invisible to the naked eye. But the Cat S60 FLIR camera can clearly see the rectangular shape of a less dense piece of drywall and perhaps lack of ceiling insulation. Perimeter security is another potential application for night vision. The figure 5 shows a person hiding behind a bush. The intruder is invisible to the naked eye as well as the regular camera, but completely exposed in the IR photo. Automotive repair, food service, health services and many other endeavors can all benefit from inexpensive thermal imaging. I personally can’t wait to see if I can pick out cops in radar gun stakeouts miles down a highway at night. I only wish they Caterpillar could resolve the auto-focus issue. It’s unfathomable that a higher end phone like Cat S60 would suffer from such a basic camera issue like poor auto-focus. The old Scanmeter high gain WiFi antenna pointer written in Bash still works very well. 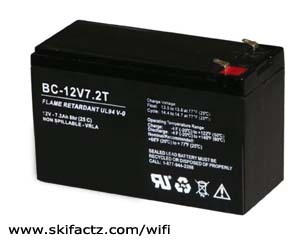 However, it depends on the output of iwlist command to read wireless APs. For some reason iwlist is not reliable on my new Ubuntu machine. I wrote a new antenna pointing tool in Python called Scanmeternm. Instead of iwlist, I am reading the wireless router power using ncmli dev wifi command. It’s certainly easier to customize for casual coders than the old Bash Scanmeter. For example, you could probably use the script to control an Arduino stepper motor and automatically rotate antenna on top of a vehicle. The usage is very straightforward, and it is more user friendly than the old Scanmeter. Does not work in Windows, maybe not even in OS X. I don’t know if Network-manager is available for Mac. I don’t know what units are used for nmcli dev wifi output. They may be linear or logarithmic. The meter readout green/red threshold is entirely arbitrary. # Measure wifi signal based on nmcli. Works only if Network-manager is installed. ssidMaxLength = 17 # Truncate length to satisfy tab based layout fit within 80 columns. 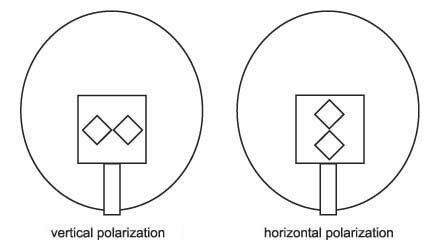 # Lookup tables for 2.4 GHz and 5 GHz frequency to channel conversion. 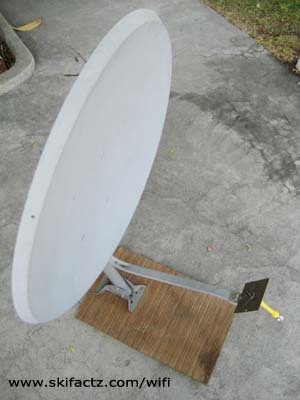 # Convert 2.4 GHz and 5 GHz to channel numbers. # Scan available APs and save in scannedMenu list. # SSID and SECURITY fields may contain spaces. We use the ':' marks as the parsing ref. cells = cells.split() # Split cells using space for the rest of the fields. # Menu user input returns selected bssid and facilitates user commands like 'S' and 'Q'. # Main menu control calls AP scanning, prints the list and calls user AP selection. # Here we print power reading to the scaled console in form of an dynamic histogram. # Is the selected bssid continuosly present in the scan? If so, proceed. cells = cells.split() # Split cells using white space for the rest. My neighbor suspected he had daily Internet connectivity outages always taking place at the same time. I wrote this very simple Python script that pings Google.com at regular intervals and logs the ping time and success/failure. He was able to take this log to his ISP and escalate his tech support case with good evidence of technical problems. You can modify the script to ping your router instead of google.com i.e. 192.168.1.1 if you suspect local network problems. From command line run ./pinger.py [seconds] like: ./pinger.py 120 to ping every two minutes. In Windows, with Python 2.x installed, you can also double click the icon and the script will ping once a minute. The script will save a .csv log in the same directory. You probably don’t want to ping at very short intervals for prolonged periods of time or it may be construed as a DoS attack by Google. Force quit the script after you have collected enough information. Otherwise it will loop forever. # Generates ISP connectivity log until stopped by user. Most image file types can contain extensive metadata. This information can describe parameters like geolocation of the photograph, description, keywords, etc. The Exif metadata embedded by a digital camera at the time of the capture can be altered and expanded using any number of free or non-free Exif and XMP editors. Exiftool is a free OS independent command line based editor specifically suited for high volume and automated batch metadata editing. Exiftool is highly scriptable using Bash, Batch, Python or whatever the tool of your choice may be. I wrote a Linux Bash script for a project where thousands of scanned photographs needed to be augmented with new metadata. Some information was image specific and required user entry like geolocation, description, searchable keywords and the year picture was taken. Other information was hard coded into the script because it was specific to the set like the name of the locale and the country of origin ISO code. echo "Enter comma separated keywords"
You can use the script from the command line, or you can drag-and-drop pictures onto it (this procedure varies in different Linux distros, we’ll go over the use in Ubuntu). Copy and paste the script into a text editor, change the parameters to suit your needs and save as exifmod. Right click the script and enable executable privileges in the file properties or execute chmod +x exifmod from the command line. Create an application launcher and point it to the location of the script. In case of exifmod saved on your desktop this would be /home/yourusername/Desktop/exifmod. Enable executable privileges for the launcher file as well. Drag and drop an image onto the launcher. Follow the prompts in the pop-up console window. Skip properties by leaving the answers blank and pressing enter. You can obtain the longitude and latitude of the photo location from Google Maps. To verify the embedded metadata from the command line use: exiftool -All sampleimage.jpg. To better understand how to protect yourself from people who may compromise your wireless network we need to learn what they do in order to get inside. To protect yourself from a breach you must think like a hacker. Chances are slim but the intruder may not be your first door neighbor at all. 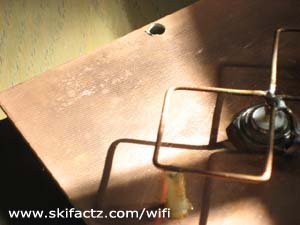 A hacker with a powerful high gain WiFi antenna could be sitting hundreds of meters away and siphoning off your internet connection. An intruder can log into your network and use the Internet connection. An intruder can log into your wireless access point (AP) and modify the settings to better suit his needs. Let’s examine the first of the two possibilities. Wireless routers come without any security enabled by default. This is understandable. You need to connect to your router for the first time without the password before you can create one. If you don’t set the security settings and don’t create a password your wireless network will remain unlocked so anyone can connect to it. The intruders can not compromise your computer(s) easily but they can use your Internet connection. This may not be a big deal. I typically leave one of my networks open for anyone in the neighborhood to connect to. I live in a working class neighborhood and don’t mind local kids who can’t afford their own Internet service. On the other hand when you realize that a bunch of people are hogging your speed by downloading crappy YouTube videos you may want to enable security and prevent unauthorized access. When you decide to do that use WPA instead of WEP. It is a newer and more secure standard. The way you actually implement the security will depend on your wireless router and your computer’s operating system (Windows Vista, XP, Mac, Etc.) The documentation you received with the router will describe the whole process in detail. A strong password will deny hackers the opportunity to log into your network, use the Internet and make changes to your setup. There is another weak point a hacker may exploit when WPA or WEP security is disabled. 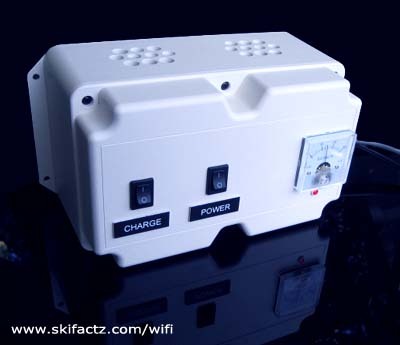 Your wireless router can be wirelessly controlled via a web browser. This is a great feature that allows you to adjust router settings from anywhere within your house. The problem is that after the initial router setup majority of people do not change the default router password leaving the device accessible to a hacker. Changing the default password is easy to do in your router’s control panel. Most wireless routers ship with IP address 192.168.1.1. When you type these numbers into your browser you will be taken to the router’s settings panel which is nothing more than a webpage generated by the router. Leaving these three values at their factory defaults is like leaving your car unlocked and running. Changing the IP address but leaving the user name and password at their default setting is a weak form of protection. The IP address can easily be obtained by executing IPCONFIG command in Windows command line while connected to the WiFi network. The IPCONFIG command will return the “Default Gateway” IP address. This is the router’s home address [Fig. 1]. Knowing which router brand you have is sometimes enough for a hacker to obtain login information. There are many websites that list default passwords. What’s a big deal if someone enters your wireless router settings? They could do a number of things. For example, they could boot you off your own Internet connection by implementing WPA security. They would have the password, you would not. However, this is an extremely visible intrusion that most Internet subscribers would react to immediately. They could enable the log to track what websites you visit. Of course, this in itself is of little use to a hacker and there are better ways to obtain detailed information about your Internet activities. They could decrease the amount of bandwidth allocated to your computers while allowing maximum throughput for themselves. 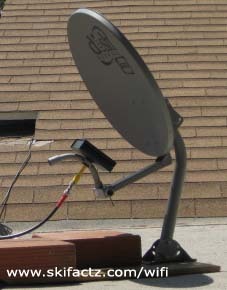 This would allow the hacker to choke your speed while he can enjoy full broadband capabilities. But there is something more sinister. A skilled hacker could completely hijack your router while allowing you to access the Internet through his router at decreased speeds. There’s a chance you’d never know this happened because you’d still have uninterrupted net access albeit at lower speeds. Let’s look at this idea in more detail. 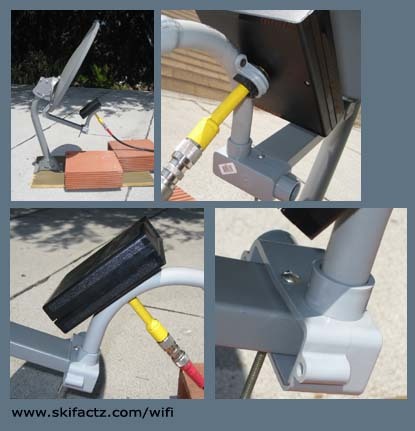 In a “friendly neighbor” scenario both you and the hacker have their wireless routers that are used to connect to the internet. 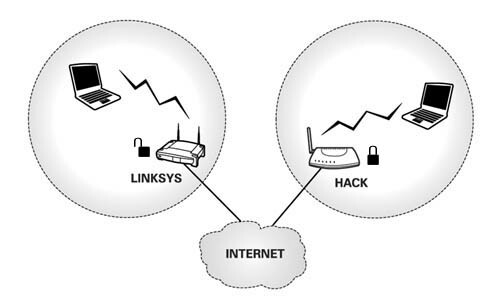 Let’s pretend that your SSID is “Linksys” and the hacker’s SSID is “Hack.” Every time you log into your network you see the name of your router and the name of your hacker neighbor’s router [Fig. 2]. Your computer uses something called SSID to identify and differentiate between all available wireless networks. 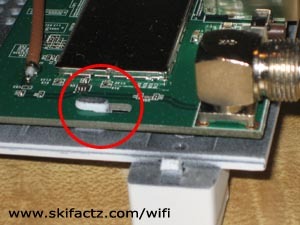 Each wireless router broadcasts one SSID (it’s possible to suppress the SSID broadcast but this is another subject) and your notebook computer looks for the SSID when connecting to the wireless network [Fig. 3]. SSID can be seen as the name of a network. It can be the default name the router came with or it can be any name you create in the router’s control panel. 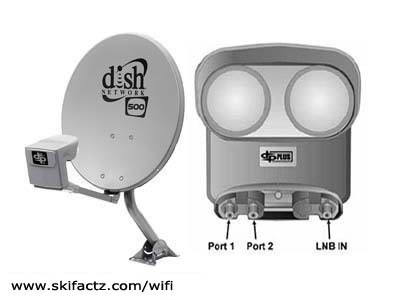 The hacker can swap out the SSID’s of your and his router so you become “Hack” and he becomes “Linksys.” This is simple enough to do in the routers’ control panels. 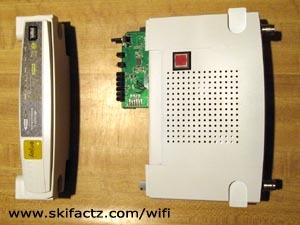 After this is done the intruder could setup his router to work as a repeater and enable WPA security on your router. At this point the hacker may as well cancel his broadband internet subscription. Hacker enjoys the full benefits of a secured WPA connection which would otherwise be unavailable had he been just plain logging into your router without all this extra gymnastics. By filtering out all other neighborhood users except for you he doesn’t take chances of someone else using the connection. You on the other hand are still happy go lucky and will never know something is going on unless the hacker has intentionally limited your speed so he can have faster downloads. Fig. 4 Swapped SSIDs. Another neighbor has been hacked. What we can learn from these two examples is that leaving default passwords and leaving your WiFi connection unprotected can be a bad idea. Still, the chances that someone is leeching off your connection are limited at best. Opening the router will void your warranty. Since you have probably loaded third party firmware your warranty is gone anyway so you may as well pop the housing open. There are no screws to remove. The pieces are snapped in place. 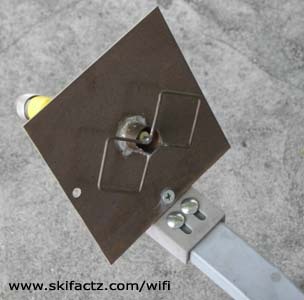 The front face of the router will separate from the rest of the assembly. Exercise the plastic with your thumb first [Fig 1]. At this point you are not loosening any snap locks. The purpose is to flex the plastic material so it will come off easier. 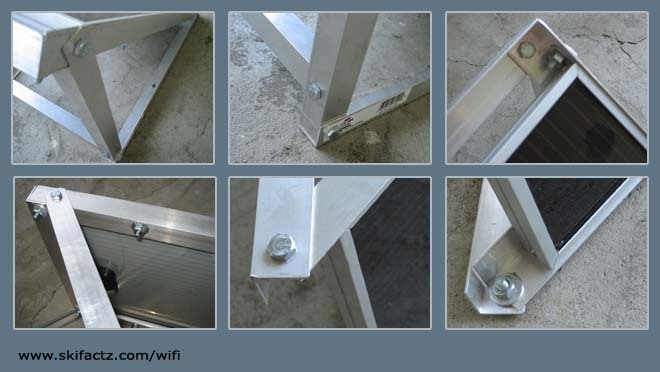 Clasp the feet of the router with your index fingers [Fig 2]. Lean the opposite side wall of the housing on your stomach. Hold onto the pieces tightly and pull [Fig 3]. The first time is the hardest. You will need a strong even pull. 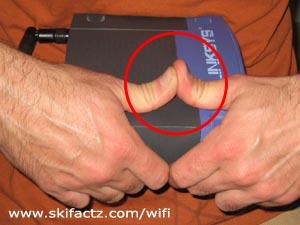 Don’t yank as you may end up throwing the router half the way across the room. When the side you’re working on separates do the same on the opposite end. The other side will snap out easier. There aren’t easily breakable plastic tabs inside. You could break a piece of plastic as this has happened to me on another router after 9-10 disassemblies but this came as a blessing. This particular WRT54G now opens really easily. Every subsequent time you open your router will be easier than the previous. After several disassemblies you’ll be able to unsnap the pieces by pushing your thumbs apart [Fig 4]. 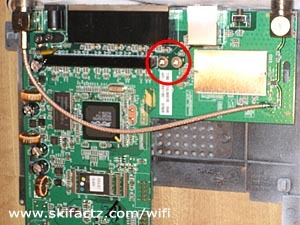 Now that you have removed the face of the housing [Fig 5] take the main body of the router and remove the top. This is done by sliding the cover towards the back connectors. The printed circuit board looks different in different models. In each case it is attached to the bottom of the housing by two screws [Fig. 6]. Remove the screws and slide the PCB off two small side locks [Fig 7]. There are reports that the reset button retains some level of operation even when the router is powered off. I highly doubt this but on this particular WRT54GL I accidentally reset the unit while installing a fan. This has probably happened while I had the opened router powered up. It is easy to bump the reset button if you are not careful. So, before you even open the router take an extra step and back up your firmware adjustments. Take a note of the default IP address (probably 192.168.1.1) and the default user name and password (on DD-WRT “root” and “admin”). If you reset the router all settings will revert to default.